Roughly half of Iowa’s 30 largest districts have updated their school emergency response policies, adopting a popular national program that safety experts say might not be the best choice. The program, ALICE, stands for Alert, Lockdown, Inform, Counter and Evacuate. It is built around the idea that immediate response in emergencies involving violent intruders and active shooters is crucial to preventing and reducing loss of life. Parents listen while Iowa City Police Officer Derek Frank presents information on ALICE during an informational meeting. However, some critics say the current security fad focuses too much on active shooter scenarios, neglecting more common dangers like violent crime, including assaults. Michael Dorn, director of a school safety organization Safe Havens International, said he is deeply troubled by the ALICE concept and similar active shooter-focused attack methods. “The training that these people are getting just isn’t enough to be able to make these life-or-death decisions,” he said. Emergency response policies from Iowa’s 30 largest school districts, obtained through an IowaWatch public records request, show 14 district plans are moving away from traditional lockdown procedures, which involved students sheltering in place. They are moving toward evacuations and other proactive measures focused on taking action before law enforcement arrives. Recent shootings and threats at schools across the nation have parents and school officials concerned about how best to protect kids at school. The National Center for Education Statistics’ most recent crime study reported 25 school-related homicides from July 1, 2010, through June 30, 2011. The study also showed 74 percent of public schools reported one or more violent crime incidents during the 2009-10 school year. Iowa is not an exception. In April, two separate bomb threats were investigated at Anamosa High School and Benton Community Schools’ combined middle and high school building. That same month, a middle school and high school in Cedar Rapids reported separate threats to the police. 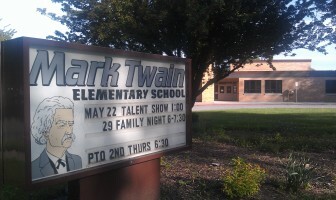 Mark Twain Elementary School in Iowa City was locked down in February because of a potential threat. “I am very worried as a parent. It is not comforting to have to talk about this kind of thing,” said Amy Nielsen, an Iowa City mother with three children attending schools in the Iowa City Community School District. The Iowa Department of Education does not require schools to have an emergency response plan. Instead, it provides an overarching school safety guide developed in 2012 for districts and schools to use as a guide when creating safety plans. ALICE takes a step away from traditional emergency response procedures, providing active shooter training for administrators, teachers and law enforcement that emphasizes actively countering threats. Mark Twain Elementary School, Iowa City, the scene of a February 2014 lockdown. The Iowa City school district has delayed ALICE drills with students. “This is a huge paradigm shift,” said Susie Poulton, director of health and student services in the Iowa City school district. 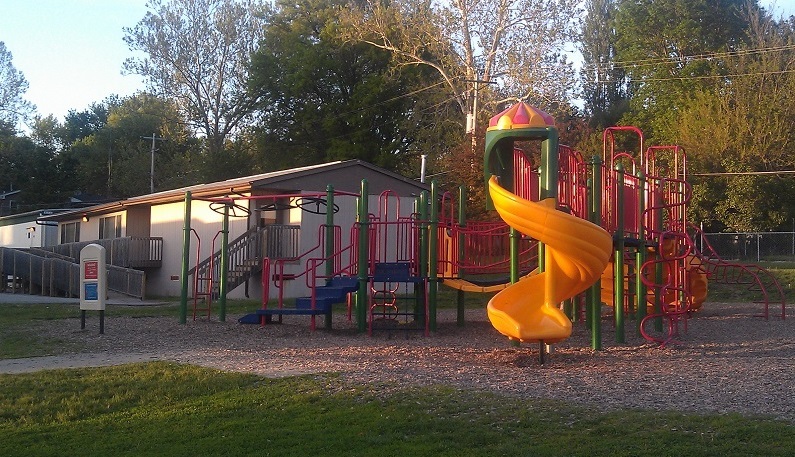 Clinton Community School District is one of 14 in Iowa that has fully adopted ALICE. The district began ALICE training two years ago for administration and staff and now all staff in the district are ALICE-trained, said Deb Olson, the Clinton superintendent. Olson withheld specifics about drills conducted with students, but she said they differ based on age-level. “With the middle and elementary schools, we do the drills by individual classrooms, and with the little ones we just tell them to always listen to the teachers,” she said. “If something happened to a school, it’s probably going to affect the whole community. These protocols need to be in place,” Olson said. Pleasant Valley Community School District adopted ALICE last year and began holding drills with students in February 2013. “We use a preventative-based situation for the students by putting a scenario in place without telling the kids what to do and then walking them through how they would and should respond to it,” said Brian Strusz, assistant superintendent for the district. Some districts considered ALICE but decided not to include it in the district policy. Urbandale Community School District Superintendent Doug Stilwell said the police department recommended lockdown procedures rather than ALICE, so the district continues to use lockdowns as an emergency response. Stilwell said the district reviews the response plans, updating them annually or whenever something happens at a national level. The Fort Dodge school district has a monthly safety meeting with committee members from the district, Fort Dodge Police Department and Webster County Sheriff’s Office, said Doug Van Zyl, the district’s superintendent. The district chose not to implement ALICE. Two more school districts — Des Moines and Cedar Rapids — trained administration and some staff in the ALICE program, but chose not to fully implement it in their districts. The Iowa City school district started training its administration through ALICE in August 2012 but the program’s focus on violence has caused the district to delay drills with students. Iowa City school officials have worked alongside the Iowa City, Coralville and North Liberty police departments and the Johnson County Sheriff’s office since 2012 to develop a response plan and conduct armed-intruder training, Poulton, the district’s health and student services director, said. Before adopting ALICE, the district followed standard lockdown procedures based on a 2010 guide published by the Iowa Department of Education, Poulton said. Poulton, a certified ALICE trainer, said the Iowa City district already had begun implementing ALICE before the Newtown, Connecticut, shootings in December 2012. The changes were unrelated to the Sandy Hook Elementary School tragedy there or any other incident, but instead were a result of updating safety plans, she said. 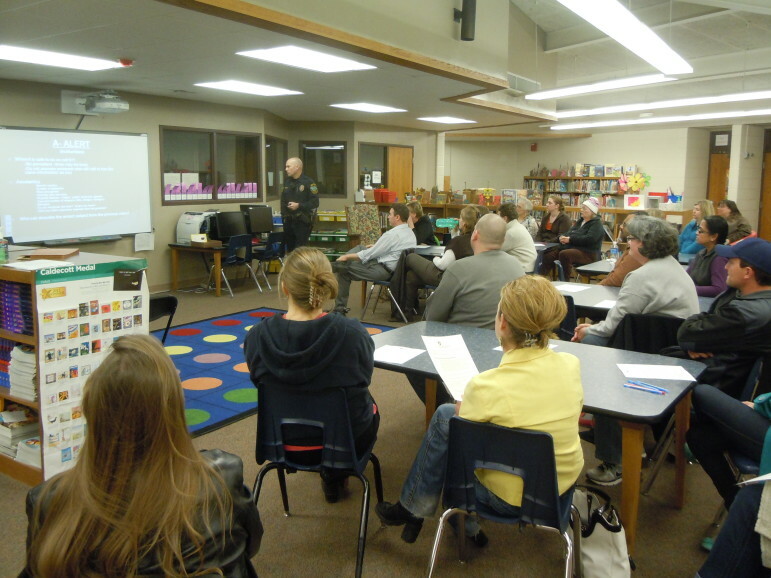 The Iowa City school district hosted nine informational meetings earlier this year to inform parents about how the new policy would be implemented in an emergency. The meetings let parents get involved in helping officials determine how the matter should be discussed with students and providing input for student drills. 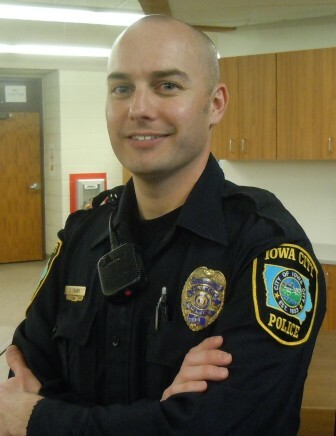 Iowa City Police Officer Derek Frank, who gave an overview of the ALICE program during a March 26 session at Lemme Elementary School, said most of the feedback was positive but the two-hour presentations weren’t heavily attended. A main criticism of the training program was its gruesome focus on using physical violence to counteract a potentially violent intruder who is armed and intending to harm children. Some audience members,especially parents of elementary-aged kids, took issue with their children participating in any kind of active shooter drills involving role-playing. Poulton said the district is working with police to tone down the drills before presenting a cleaned-up version to students. Officials hoped to run student drills before the end of the school year, but low turnout at the informational meetings delayed the drills until the fall, Poulton said. “We need to take a little more time to make sure that we have a thorough plan in place, and that parents will be appropriately informed prior to doing drills,” she said. The graphic nature of the ALICE training influenced the Cedar Rapids school district decision not to incorporate the training into its district-wide policies. “ALICE has some really great information in it, but it is highly graphic and highly disturbing to someone who is not in law enforcement,” Laurel Day, the Cedar Rapids school district’s security director, said. She said the district works hand-in-hand with law enforcement and requires two security drills a year for all the students in the district. The drills are sometimes done with law enforcement present. Day said that the main thing the Cedar Rapids School District took from the ALICE program is that schools or individuals in emergency situations can’t wait around for law enforcement anymore. Officials at the Iowa City and Cedar Rapids districts were not willing to provide details about their emergency response procedures, saying sharing details about security plans could endanger students. The Des Moines school district continues to implement lockdown procedures, requiring drills once every month — the most frequent drills required by any of the 30 largest Iowa districts. “Administration has gone through ALICE training to learn more about it, and our district works closely with the police, but at this point there has not been the discussion about whether it’s the best way to go,” said Phil Roeder, director of communications and public affairs in the Des Moines school district. Roeder said the district’s approach takes advantage of available resources and in-house expertise, focusing on the physical building and putting preventative steps in place. He said the Des Moines public school system is different than the typical Iowa district because of its size. It employs a 12-person security staff that handles security-planning, around-the-clock patrol, monitors security systems and meets regularly. The district has eight school resource officers assigned to its six high schools by the Des Moines Police Department. Two officers also are assigned to the district’s 10 middle schools. Des Moines public schools also have more than 700 security cameras spread throughout the district’s 60 school buildings, Roeder said. School safety expert Dorn, of Safe Havens, is a skeptic. Safe Havens International, a Macon, Ga.-based non-profit staffed by safety analysts with homeland security work experience, focuses on improving schools’ crisis preparedness and campus safety. It has worked with more than two thousand schools in 24 countries conducting safety evaluations. Tests conducted by Safe Havens show ALICE-trained people statistically are acting more dangerously in emergency situations, Dorn said. The problem isn’t the concept as much as it is proper training and practice. “Currently, the way they’re being taught is not adequate to take on this type of skill set,” Dorn said. One of Dorn’s chief complaints against ALICE and similar “run-hide-fight” policies is that the training lacks consistency and is limited to short one- or two-hour sessions. Dorn also is troubled by the intense focus on the active shooter, which he said brushes aside other concerns, such as transportation accidents and suicides. “It becomes way out of balance with actual deaths,” he said. Dorn said ALICE training does more harm than good because people are conditioned to respond to any potential threat by attacking without making an assessment. Safe Haven analysts test a cross-section of school employees with audio or video scenarios followed by a test on how they would react. The company scores these and uses them to provide a score for the school district. Dorn said testing reactions to a wide variety of scenarios instead of a single drill is one of the most important parts of emergency preparedness. Dorn said he has seen scores to scenario-based tests statistically decrease since 2000, despite the increased efforts by schools to get security training. 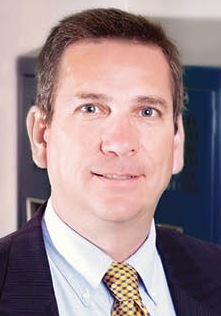 Dorn suggested what he calls the “ALICE fad” would be self-corrected by litigation if someone unhappy with the result of the ALICE approach sues. He said schools are still one of the safest places for children and some aspects of this training can be beneficial, especially discouraging someone in an emergency situation from sitting and waiting for the police to show up. Versions of this IowaWatch story were published by The Des Moines Register and Sioux City Journal and aired by KCRG-TV in Cedar Rapids under IowaWatch’s mission of making its news available free to media partners. In response to the IowaWatch public records request, some schools sent documents outlining their emergency response plans, including information about lockdown procedures. Other schools declined to include details of their policies for security reasons. To view information from individual school district, click on the district from the index on the right.